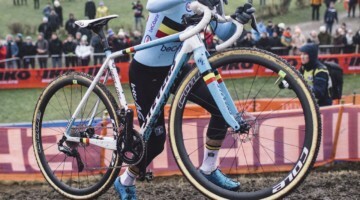 Belgium Cycling has announced its national team for the 2019 UCI Cyclocross World Championships in Bogense, Denmark. The team features only four women and seven men, with an extra spot for Tim Merlier if Toon Aerts wins the World Cup next weekend. 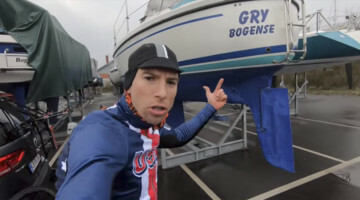 The top five-ranked countries as ranked by the UCI in both the Elite Men and Elite Women are allowed six spots, while other countries are allowed five. 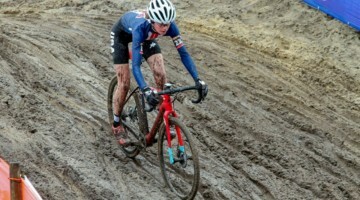 A country is granted an extra spot for either having the outgoing World Champion or leader of the UCI World Cup. If Wout van Aert wins the World Cup, Belgium will lose an extra men’s spot since Van Aert’s status as the defending World Champ already gives the team a seventh rider. 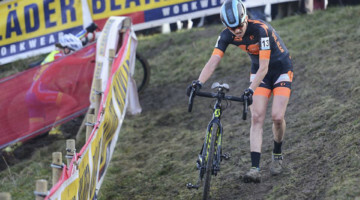 With Sanne Cant heading to Bogense as the defending champ, Belgium is allowed to send seven women but will only send four. Joyce Vanderbeken, currently ranked 37th by the UCI, would have been the next-ranked racer to make the team. Stay tuned for more Worlds team announcements.